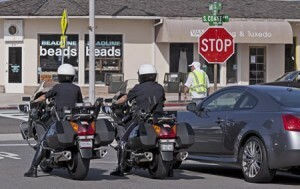 To help raise public awareness of crosswalk safety, Laguna Beach police tested the awareness of drivers along Coast Highway on Wednesday; motor officers wait while a third police officer in a high visibility safety vest crosses. Several motorists were cited for failing to stop. 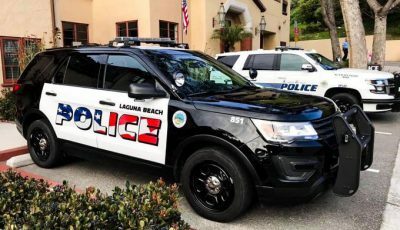 Laguna ranks fourth among 98 similar sized towns for its collision rate, according to state statistics.